Brattleboro, Vermont – So much to do and see! My husband and I recently attended a musical performance in Brattleboro at the Latchis Theater (George Winston, fabulous), and I was struck by what a vibrant and artistic community Brattleboro really is. 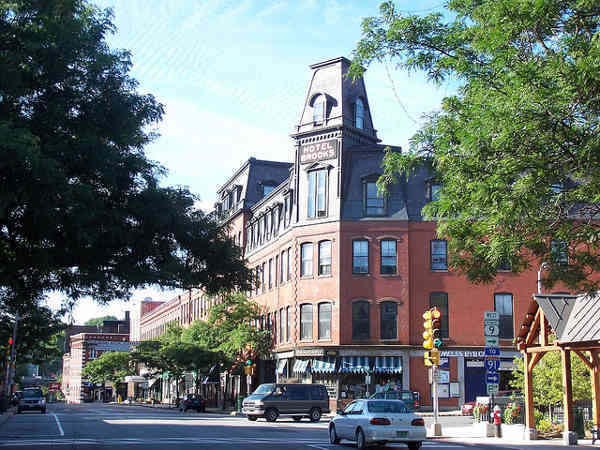 Located in the Connecticut River Valley at the confluence of the Connecticut and West Rivers, Brattleboro’s early life was, similar to so many New England towns, that of a mill town surrounded by farms. Take the traditional New England perseverance and toughness and combine it with the counterculture values of the 60s and 70s (brought by a northern migration away from the east coast cities) and you have a personality in Brattleboro that is unique. This personality shows itself in many ways. Environmental consciousness, focus on the arts, preservation of the past, and a reverence for growing and preparing food. Brattleboro is home to four art galleries, the Brattleboro Museum and Art Center (featuring Vermont artists), and a monthly Gallery Walk each first Friday. Additionally, you will find the Vermont Center for Photography with exhibits of local and world-renowned photographers, Jazz Fridays at The Lounge, performances at the New England Center for Circus Arts (yes, a circus school! ), as well as theater, dance, and musical performances such as the one we attended. 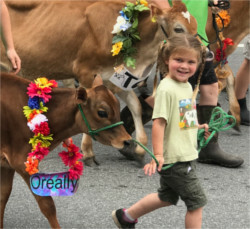 Annual events include a film festival, a winter carnival, and the famous Strolling of the Heifers, a parade of flower bedecked cows down Main Street. There seems to always be something happening to feed your artistic soul in Brattleboro. Shopping in Brattleboro is unique also. You won’t find chain store names from the mall here. Instead you will discover clothing stores with unusual selections from imported pieces to outdoor wear. There seems to be a bookstore on every corner, one of which specializes in mysteries only. You will also find vintage items, furniture, and housewares from nearly every era, vinyl records, and used books. Additionally, there are jewelry stores with handmade pieces, bike shops, and so much more. And then there is the food and drink! With 14 restaurants, 4 cafes, 3 bakeries, 3 breweries, and a fabulous farmer’s market, Brattleboro has a food culture that will please even the most ardent foodie. You will find everything from fine dining to pizza and burgers. One common trait, however, is the quality, freshness, and in many cases, local sourcing of ingredients. For example, visit The Works and the posters around the dining room let you know about many of the farms that supply the restaurant. You can dine on Main Street in historic buildings or relax in river-side establishments. 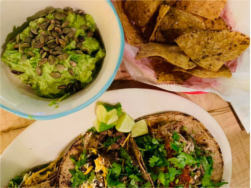 Brattleboro is surely a place to eat, and eat well. For outdoor enthusiasts, Brattleboro has that covered as well. 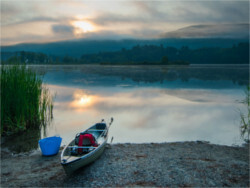 With the West River converging with the Connecticut River right in Brattleboro, summer offers a multitude of water sports – swimming, fishing, canoeing, kayaking, and tubing. Or rent a bike in town and explore the local countryside on a self-guided biking tour. Or take a hike along the West River Trail (an old railbed) – 36 miles of adventure during any season. Maybe hike to the summit of Mount Wantastiquet just across the river in New Hampshire and look down on the entire city of Brattleboro far below. And, of course, Bromley, Mount Snow and Stratton are within an hour’s drive for avid skiers. You can even check out the competition at Brattleboro’s Harris Hill Ski Jump. Next time you are heading to Vermont, stop a while in Brattleboro to explore. It’s easy to get to – just over the New Hampshire border and close to the Massachusetts. We think you will grow to love the city the way we have. This entry was posted in Activities, Eat & Drink, Food, Now Trending, Play, Shop, Things To Do, Uncategorized on November 12, 2018 by Linda Warner.